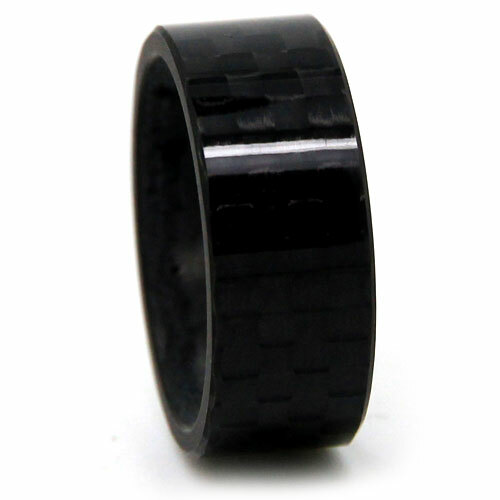 This ring is made from pure carbon fibre, with a gloss coat finish. There is no metal content at all, as this is carbon fibre in its purest form. If you’ve come through to this listing, there is a very good chance you already know that carbon fibre is extensively used in supercars and other performance vehicles due to its lightweight and strong characteristics. Enthusiasts pay a fortune for exposed carbon fibre in their “toys”, but you can have it now for much less!